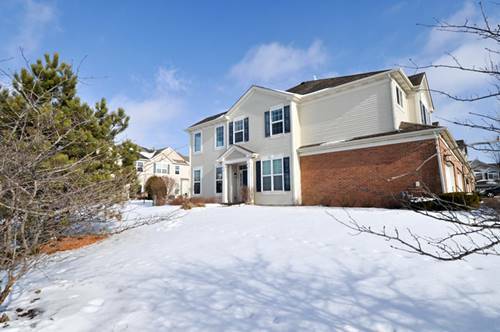 Spacious townhome available immediately! Home is only 5 years old and was freshly painted 2018! This home offers vaulted ceilings, 2.5 bathrooms, loft, kitchen adorned with 42" Maple cabinets, pantry, upgraded stainless steel appliances, brand new w/d. Master bedroom has a walk in closet and private master bath. This subdivision offers an outdoor pool, tennis courts, a clubhouse with game room, playground, and exercise facility. Welcome home! 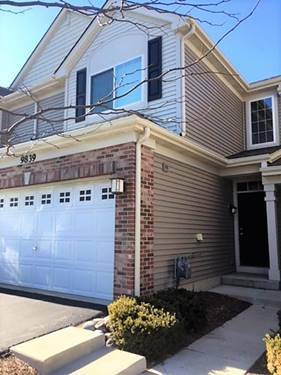 For more information about 9839 Williams Apt 43-04, Huntley, IL 60142 contact Urban Real Estate.